It has been an amazing weekend. Yesterday we had 3 baptisms! In reality, it was 4, but one of them was 8 years old, so he technically counted as a ward baptism. But that doesn’t really matter, because it all comes down to the fact that we were able to be a part of the eternal journey that each of these four started. Diego and Nahuel were baptized, as well as Gisela and Alejo. At the beginning of this week, we didn’t think Gisela would be able to be baptized this Saturday because of some situations, but during the week we became aware that the situations had been resolved, and the she wanted to be baptized this Saturday, so we went for it! I baptized Diego (the 8 year old), Elder Carrion baptized Nahuel and Alejo, and Santiago, a priest from the ward, baptized Gisela, and then today the bishop and the ward mission leader did the confirmations. The best moment for me was probably when, after changing into my white clothes, I came out of the bathroom, and Diego (who had already changed) came running up to me, all excited, and jumped on me saying “Mi bautizador! Me voy a bautizar!” He was so excited to be baptized! After performing the baptism, right when he came out of the water, he just looked out at everyone with a dropped jaw, he was so excited that he was baptized! Everyone laughed, it was awesome. I remember that seeing everyone dressed in white, and feeling that kind of peace and happiness made me feel like I was in the temple. It was beautiful. And if that wasn’t enough, yesterday, before the baptism, we had a capilla abierta in Rural! We had bad luck in the morning, because it was literally pouring buckets of rain and all of the streets flooded, in some places up to the knees, as is prone to happen every once in a while. So we all got stuck inside. By about 11am everything had cleared up and we were able to go out and invite some people. We came back, had lunch, and got things set up. One of the coolest things was that we had so much member participation. There were stands for every organization, and members manning each one, as well as members to greet visitors and members to invite people. The YM president, ward mission leader, and another brother decided halfway through that we could have more people coming, so they decided to go outside and start grabbing people to bring in. It was pretty cool, I’ve never seen that happen before in a capilla abierta. The ward mission leader was fearless, if someone was way over on the other side of the street, he would yell “Ey!” and run over to them and invite them in. So cool. And we had a ton of success! We literally never had more than 2 or 3 minutes between tours, there was always another group of people coming in. And one of the coolest things was that there were two young women, about 15 years old, that the sister missionaries just brought in from the street, and they ended up staying for a good while, getting to know everything, and today they came to church for all three hours, dressed up nice and everything! Miracles. I love missionary work. As I was thinking about the baptisms that happened, I realized that, while it was an amazing and wonderful experience, truly a blessing for which I will be forever grateful, it’s not what defines me as a missionary. How many baptisms we have is really irrelevant to what type of missionary we are, as every baptism is a gift and blessing from God. Our job as missionaries, and as members of the church, is to have the Spirit with us always, always repenting, always progressing, always serving and looking out for others. 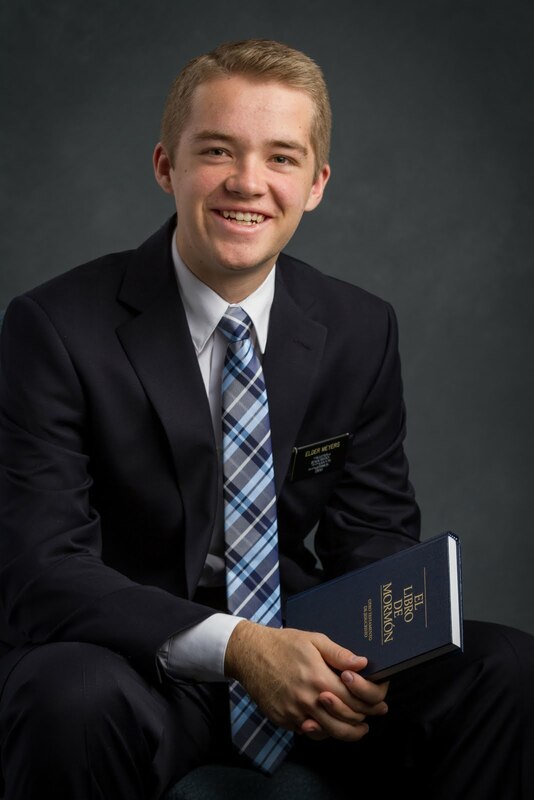 Preach My Gospel says “You can feel certain that the Lord is pleased when you feel the Spirit working through you.” I know that this is true, because the most rewarding moments on my mission have been the moments when I have felt that I was at one with the Lord and His Spirit, working in His work with 100% dedication. That is what a successful missionary is, and that is how we find joy not only serving a mission, but throughout our entire lives! I love this gospel, it is everything to me. FELIZ CUMPLEANOS ELDER HENRIQUEZ! What better way to celebrate a birthday than to buy a Grido ice cream cake?